We did it again. We walked around the place a found some really good people to talk with. A lot of them you may know and some of them are just starting out. We hope that all of you who want to help small businesses can find something great in our line up. The event was giant this year! More vendors than we could ever imagine! We hope that you join us again next to our next live event. PODCAST #169: SUNSHINE CRAFT CO. This episode is our 2018 year in review, Brittany and I look back at all of our favorite moments of the past year. We remember some of our favorite moments in our favorite people who have come into the studio and what they have changed our minds on. We also have a little bit of fun by encouraging others to join in our little game for our top 3 favorite moments. We also give shout-outs to some of the top episodes based on reviews and audience pics. The following is a live recording from our trip to the design week event. We spent our time there interviewing different people from business to attendees to understand everyone’s perspective. We thoroughly enjoy when any opportunity comes our way to seek new challenges and new events throughout our community. We humbly stumbled upon this event and felt it was very necessary to showcase it in the only way we know how to with a podcast. As we went from lecture to lecture we understood a little bit more about this creative community. Getting to hear the voices of the actual sponsors and professionals there was truly enlightening. Theo Doro Brand's idea was born in Greece. Therefore the name comes from the Greek language which means "Divine Gift". We describe Dorota as the same thing. Her wonderful energy and creative skill is something to truly marvel at in person. On a rainy day, south of Tucson we stopped in and asked everything we could possibly think from such a desert gem. We had so much fun taking photos with this talent. She moved from out of state to join our wonderful Arizona community. She is definitely on her way to bigger things If you would like to learn more about Brookklyn, go to the following. The inception of the idea for Helio Basin Brewing Co. started, albeit merely as a pipe dream for the founders, almost 15 years ago over a few homebrew batches with some friends at Allegheny College in Meadville, PA. After graduation they went two different directions, Mike to the Marines as an officer and Dustin to the Siebel Institute to start a professional brewing career. As time passed, one thing always kept coming up in conversation, the idea of opening up a brewery. Tiffany and Tom are husband and wife duo who run an amazing full-service salon and studio out of a gorgeous Airstream. Wanderlust Mobile Beauty Boutique offers all things beauty from hair and make-up to a full photography studio. Whether you are for prepping from the most important day of your life to a typical Tuesday their full glam team makes every client feel unique and beautiful. Afterward, talented photographer Tom captures the art in the studio featuring backdrops, props, and gorgeous lighting. In this episode, we take our team on site to this stunning airstream in Gilbert AZ and our producer Britt gets the royal treatment. In 45 minutes we hear about the dream this magical couple share and thanks to our team at Every Impression Counts you get to see this amazing space and art come to life in our model. We had the pleasure of connecting with Jen Jinkens through the Honey Book Community, and after seeing her work we knew we had to share her talent. She grew up in the midwest, but now finds her home in Phoenix. We learn about her journey from her first shoot to what her goals are in the future. Part 2 of this episode can be seen through our photo shoot with the talented Jen Jinkens. We took a sunrise stroll through downtown Phoenix capturing some of our favorite places. Her natural talent and ability to play with the light is what makes these photos so breathtaking and we plan to share with friends for many years. We are so excited to share with you a new local vendor market to check out in Arizona- Fancy Pants Events AZ. Seasonal markets are put on in Mesa, AZ at Power Square featuring over 60 local vendors showcasing everything from kids clothes to knick-knacks. In this episode, we sit down with Erica to learn about how the events came about and why someone should make their way out to their next one. Part 2 of this episode is Live On Site! We wanted to take our audience to the event with us to learn more about who the local vendors are and why they love what they do in this community. You may just discover a new artist to keep an eye out for or a find a new creative entrepreneur to connect with. 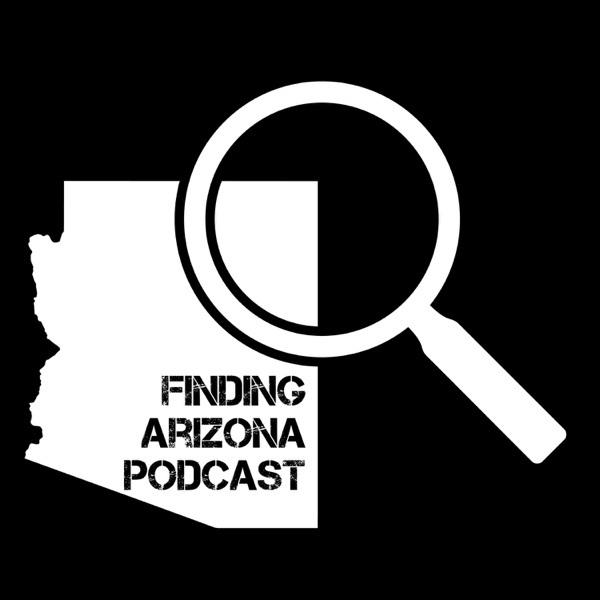 Podcast listeners, we have a new podcast to share with you: Tap That AZ ! They live up to their clever name and we get to learn all about the journey from episode 1 to 50. Both Tap that host, Eric, and Finding Arizona host, Jose, share not only the love for hearing the story behind the creator, but also a quality crafted creation, bonus points if its drinkable! We’re drinking beer, talking about beer, so you need to grab a cold one and listen to where you can discover your new favorite sip in the Grand Canyon State. The story behind the craft is told in 60 minutes from the hops to the sip join host Eric as he discovers Arizona’s growing local brewery scene. Fifty episodes and counting thats alot of new beer to hear and taste. Finally, a studio in Phoenix offering a safe space for sweaty workouts and moon meditations all in the same day. Located in Arcadia and born from a meditation, Exhale Wellness Studio is founded by Caitlin Smith on a loving and balanced lifestyle. The studio offers personal training, nutrition coaching and lifestyle workshops. In this episode we learn about Caitlin’s Ah-ha moment and why she loves what she does in Arizona. Love is the ultimate passion behind her and you can hear it in her voice and through her stories. From her morning routine to her binge-worthy podcasts, we cover it all. So take a deep breath and let's go. Most people who know, Lisa, will know she is a lover of art and big about community building. On this episode, we explore the mind behind one of the best places for a local artist. We hope you enjoy the inside scoop, and if you would like to learn more go to the following. In 1911 Zebulon Pearce purchased half of a produce, poultry, and egg business. A short time later the other half was purchased by Charles M. Johnson. Thus Johnson Pearce Produce Company was formed on October 24, 1914. On July 22, 1919, Mesa Seed & Feed Company was formed. In 1926, Mesa Seed & Feed Co. and Johnson Pearce Produce Company were merged and became Johnson Pearce Commercial Company with Zeb Pearce as president and major stockholder. From 1911 to 1932 the Pearce family companies were only in the produce and home and farm supply business. When Franklin D. Roosevelt repealed the 18th amendment making the brewing of beer legal again, the Pearce Company won the Coors Beer distributorship due to their cold storage facilities, beginning a long association which has lasted to this day. The Zeb Pearce Companies are one of the oldest family-run businesses in Arizona. Together these two have worked with more enough non-profit organizations for their credentials in the non-profit community. It was wonderful meeting the both of them and hearing about all of the different organizations they have helped. If you are looking to make a difference in your own community or want more knowledge on how you can help this is the episode to listen to. If you would like to learn more go to the following. Waste Not was established in 1987 because of one woman’s passionate desire to help feed the Valley’s hungry men, women and children. From humble beginnings with a donated truck, volunteers began rescuing nutritious perishable food that would otherwise go to waste, delivering it to local shelters on a regular basis. Waste Not delivered 2,500 pounds of food to local shelters in its first year. In 1990, Waste Not received its 501 (c) (3) corporate designation and has grown from a volunteer-led, grassroots effort into a full-fledged professional organization utilizing five refrigerated trucks, with a full-time staff of nine people. In 2011, we delivered over 2 million pounds of nutritious food to 107 recipient agencies. Rescuing wholesome food that would otherwise be thrown away and feeding hungry people is still our mission today and is our only initiative. This episode is very special to everyone involved. The Bloguettes co-founders Lorena and Sakura were nice enough to let us come into their office and chat with them. This startup has become a very big part of the community of Phoenix. From beginners to long-time entrepreneurs around these parts have heard a thing or two about these ladies. We find out about the emotional strength and connection it takes for someone to build success like they have. We also discuss two new adventures the owners will also be taking on for their next steps of branching out. Find out more at the following but our guess is that you already are following at least one of these. SPECIAL THANK YOU TO COOLA SUN CARE, GO CHECK THEM OUT! Samantha Capaldi (aka Samantha Sommelier) is your typical 23 year old girl with an insane passion for food and wine. After completing an Intensified Sommelier Training Program at the International Culinary Center of California, she passed her Level II certified exam through the Court of Master Sommeliers. She now brings joy to all through her amazing wine and food blog. If you would like to learn more please go to the following.